A red brick warehouse building comprising basement, ground, mezzanine and four upper floors (c.12,000ft2). Built c1910 for Jamison & Green ironmongers. The building sits on a o.27 acre site with a rear yard accessed via Princes Street. Jamison & Green Ltd was placed into administration in July 2015 and subsequently closed. The building remains vacant. 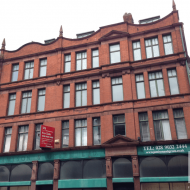 DTZ McCombe Pierce had placed the building on the market in 2013 inviting offers in the region of £950,000. The building had been owned by Princes Buildings Ltd since at least 1964. The building sold in August 2016 for an undisclosed sum. The new owners, Mr R & W McLaughlin, were appointed Directors of Princes Buildings Ltd in September 2016. 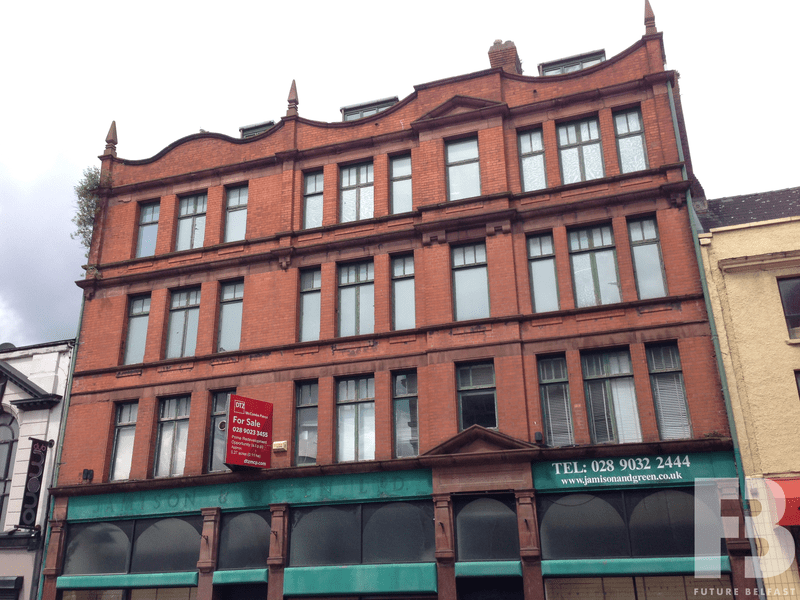 The building was acquired by Glendola Leisure and Carlton Hotel Collection in February 2019. A mixed use scheme comprising hotel, retail and leisure uses is expected to be submitted to planning during 2019.